Home / ingredients / A DIY for Cider Vinegar Hair Rinse and Why Use It? I have been making what are known as Shampoo Bars for many years. I started when I still lived in NY about 1998. I started making them then and have been only using them pretty much since then and love them. I am not writing about these Shampoo Soaps but what I use as a hair rinse about once a week or once every two weeks. I had previously read that a Cider Vinegar Rinse helps restore the correct pH to your hair. Bar Soap has higher pH than liquid shampoo and this restores the correct pH balance. Also the it helps to flatten the hair shafts so you can more easily comb it out after you shampoo. And yes this has been my experience every time I used that rinse. I wanted to share this easy recipe for this rinse. I generally use a four cup plastic measuring cup and put in about 1/2 cup cider vinegar to warm water. I shampoo my hair and then rinse it with cider vinegar. I leave it in for about three minutes and then rinse out with water. Before you ask no your hair will not smell of the vinegar. I looked up what are the benefits of cider vinegar rinse on this site that talk about the Top 10 Reasons to Wash Your Hair With Cider Vinegar and got confirmation of why I use it and more which I would like to pass on to you. Balances Hair & Sebum pH which I mentioned above. 4.5 to 5 .5 pH is acidity level that promotes healthy year and safeguards against fungal & bacterial growth. Antibacterial & Antifungal Properties that also can help with dandruff. 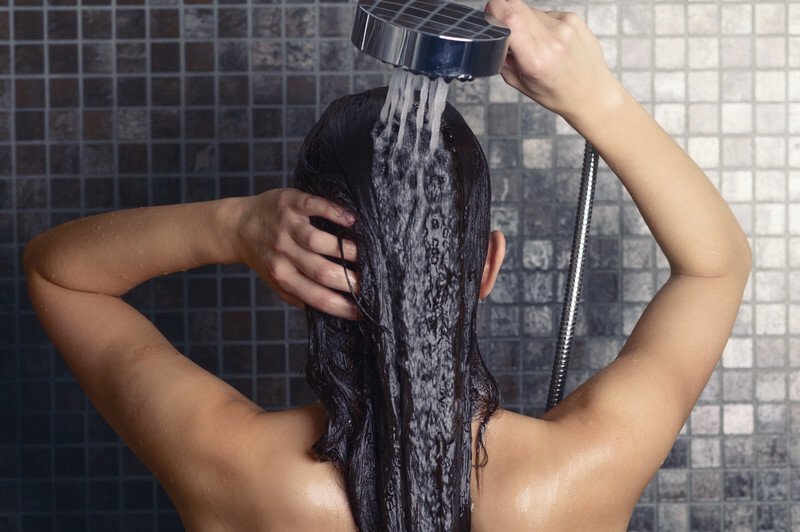 Cleanses and Clarifies hair and gets rid of sticky residue from buildup of products in your hair that can make it dull. I found the above interesting and confirming for some of what I had experienced myself. One other thing I want to pass along is to make sure you use organic or raw/unfiltered cider vinegar that is cloudy and has that sediment on the bottom of the bottle. This has all the good stuff in it for your hair. The clear cider vinegar does not have all the nutritive ingredients in it and is not as good. So are you ready to try a Cider Vinegar Rinse yourself ? What are the benefits of a DIY yogurt facial mask? I was wondering about Yogurt Facial Masks and decided to do some research. I found lots of information when I googled about the benefits and many had some common threads…. What is a Lotion Bar & How to Use it? OK I admit it, I am one of those damn Yankees. I have been told that this term describes a Northern that comes down South, find a job and stays…. I’m going to try this. Thanks. I also love shampoo bars and have been using them and a vinegar rinse for years. So much happier with my “big” hair and I save lots of $$$$ because I don’t buy or need a bunch of hair care products. Even though I’m a huge fan of ACV I never thought of using it to detangle hair…will need to try.